If you are looking for exceptional detective services in the Boynton Beach area, look no further than Saffron Investigations! For over 30 years, Saffron Investigations has served individuals and business throughout South Florida with the full spectrum of private investigator services. From marital investigations and computer forensics to fraud investigations and background checks, we bring unparalleled experience to all types of private investigations. We also have in-depth knowledge of their legal requirements, enabling us to offer the most legitimate, thorough service in the area. So, it is no surprise that law firms, corporations and high profile individuals throughout Boynton Beach trust us with all of their private detective needs. Whatever the manner of your Boynton Beach investigation, you can be assured that our exceptional team of private investigators uphold the highest in legal and ethical standards, while ensuring your investigation remains confidential. Our private detectives are experts in their field who will work with you to establish your goals and design a comprehensive strategy for your investigation. Whether you want confirmation of your suspicions or require solid evidence to present in court, Saffron Investigations can quickly and efficiently handle cases of all sizes and scopes, providing you with the information you need and the peace of mind you deserve. Before you choose a private detective to handle your case, it is important to do your due diligence, and ensure you are working with a true professional. Not only do you want to select a detective who has extensive experience handling your type of investigation, but it is important to choose one who has connections in the Boynton Beach area. As a local, established agency, Saffron Investigations has handled cases in and around the Boynton Beach community for over 30 years. No one knows the area better. From the Boynton Beach Mall to Mangrove Park, we are familiar with all of Boynton Beach and the surrounding South Florida communities. This allows our team of private investigators to conduct surveillance, gather evidence and follow up on leads, handling cases quickly and discreetly. So, whether you have a child custody investigation near Little League Park or need a fraud investigator near Hunters Run Golf & Racquet Club, you can be confident in our ability to handle all of your Boynton Beach private investigator needs. From Hypoluxo Road to 23rd Avenue, US-1 to Congress Avenue, Saffron Investigations has your complete Boynton Beach private investigator solution. Whether you suspect your spouse has been unfaithful or you need a background check for a prospective employee, we’ll take a calculated approach, collecting evidence and pursuing leads. 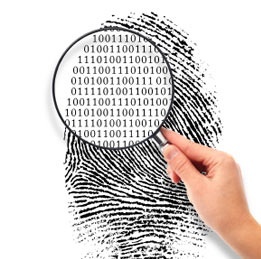 We even offer computer forensics and specialty investigations. Your suspicions may be valid, but it takes a seasoned private detective to get all the facts. If you want to build a case that stands up in court, you need documented evidence that is legally obtained. At Saffron Investigations, we have the experience, resources and technology to provide successful results for your case. From fraud investigators to surveillance, we utilize the latest techniques and technology in all aspects of our investigations. Contact us today, and let our expert team of private investigators help you discreetly conduct your Boynton Beach investigation. We look forward to assisting you.